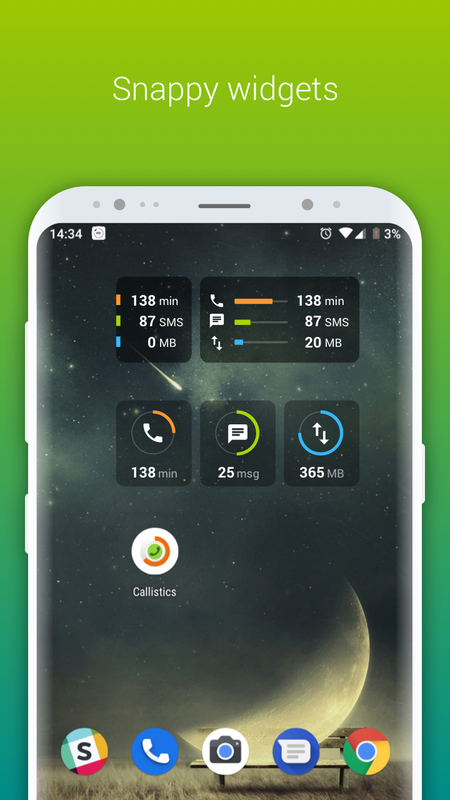 Callistics is a virtual mobile manager app that helps you to track call logs, SMS logs, and data usages on your mobile more efficiently than your mobile’s in-built advanced logbook features. One of the best designed applications on Google play in material design. 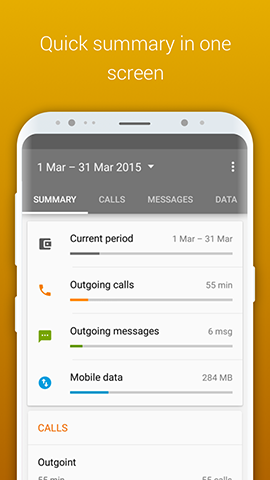 Get perfect control over your calls, messages and data usage even per contact or application. You don't need to spend any time learning how the application works. 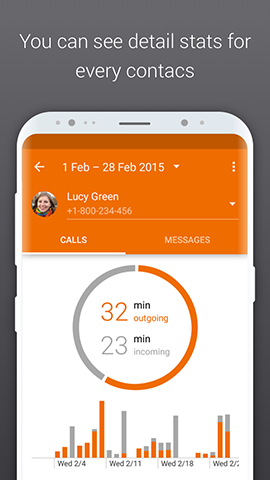 Callistics is a virtual mobile manager app that helps you to track call logs, SMS logs, and data usages on your mobile more efficiently than your mobile’s in-built advanced logbook features. In addition to basic record keeping support, the app will function as an improved virtual data uses and call log monitor with its advanced features like specific day chart, number of incoming and outgoing calls and SMS for day, Wi-Fi and roaming data usage in total or per application, and many more features that will assist you in understanding and impose full control on your call statistics and data uses. Dual SIM support. Control your calls and messages on both simcards. Widgets. Don't need to open application to see your expense. Charts. 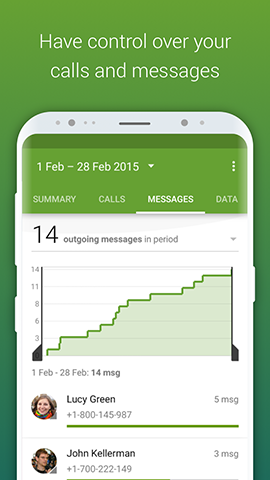 Information are visualised on calls, messages and data usage charts. Summary. 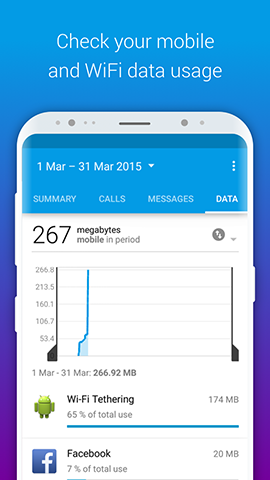 Get an overview of calls, messages and data usage on one page. "Very useful app to keeps track of calls and data for quick reference." "Does what i need it to do. Track call spend and it does it efficiently." "Best features I like Comprehensive views: Information are visualized on calls, messages and data usage charts." "Very nice app. 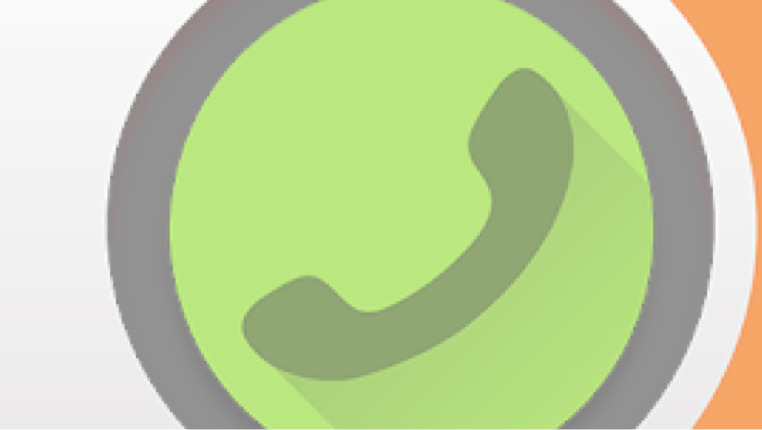 This app has all those important feature that we need to track voice or data calls.... Thanks mobilesoft for such a good app." "Great app! Just what I was looking for to reconcile my prepaid calling plan minutes." 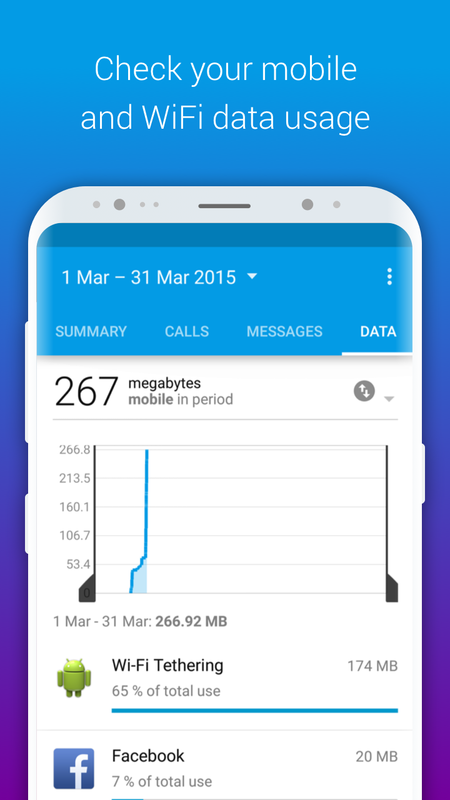 This application Callistics works for any mobile carrier around all the world for example Vodafone, T-Mobile, Orange, Airtel, Beeline, Free mobile, Turkcell, AT&T, SK Telecom, TELCEL, KT, Verizon Wireless, Verizon, TIM, I WInd, SFR and more.